MSiA admit a small number of students each year to ensure that all receive focused attention in a collaborative atmosphere. All application materials must be submitted by the chosen deadline in order to be considered complete and on time. Admissions decisions will be announced mid-March. All candidates with submitted and completed applications will receive email notification when decisions have been issued. The admissions review committee requires candidates to acquire three letters of recommendation. Recommendation letters should be submitted by professional and/or academic supervisors. We suggest but do not require a balance between professional and academic letters of recommendation depending on the amount of time since the completion of your undergraduate degree. Detailed instructions on how to submit letters of recommendation are provided in the online application. Candidates may use this guide as reference, however these guidelines are a suggestion rather than a requirement. How they know the candidate and why they are qualified to assess the candidate's suitability for the program. Distinctive qualities and/or examples which highlight the candidate's suitability for the program. A point of comparison for the candidate against others who were/are in similar circumstances. All materials including three letters of recommendation must be submitted in order for your application to be considered complete and on-time. Candidates are responsible for making sure their recommenders submit letters on their behalf by the chosen deadline. The admissions review committee is unable to accept updated materials after the chosen deadline. The personal statement is a central component of your application and provides an opportunity for you to demonstrate your motivations, aptitude, and creativity. You may answer the following personal statement questions in an essay format or in separate paragraphs. Why are you interested in analytics? Furthermore, why are you applying to the Master of Science in Analytics program at Northwestern University? What skills or abilities do you hope to strengthen during your time in the program? Describe a trend that will influence analytics over the next 5 years? What are your career goals after graduating from the Master of Science in Analytics program at Northwestern University? The personal statement in its entirety should be no more than 500 words. All materials including the personal statement must be submitted by the chose deadline in order for your application to be considered complete and on-time. The admissions review committee is unable to accept updated materials after the chosen deadline. The minimum acceptable cumulative GPA for undergraduate work is 3.0 on a 4.0 scale. All candidates must have earned an undergraduate degree by the expected date of matriculation. Undergraduate or bachelor's degrees may be from accredited 4-year or 3-year universities, both domestic and international. GPA on a 4.0 scale is preferred but not required. If available, please be sure to include institutional grading scale with the unofficial transcript. Via the online application system, candidates are required to submit an electronic copy of unofficial transcripts from all post-secondary institutions attended, including degrees currently in progress, study abroad credit, and transferred credits. Please combine multiple transcripts into one file prior to uploading to the application. During the initial admissions process, candidates do not need to submit official transcripts to the program. Unofficial transcripts must be legible e-transcripts or scanned copies. Transcripts in a language other than English must be submitted in original format as well as with a certified translation, preferably from the issuing institution. If the institution does not provide certified translations of transcripts, please obtain an English translation from a certified translation agency such as the American Translators Association or University Language Services. If admitted, you will be required to obtain and submit a certified WES Evaluation. During the initial admissions process, candidates do not need to submit official transcripts. Official transcripts delivered by sealed envelope or in secure electronic form are required prior to matriculation. All materials including unofficial transcripts must be submitted by the chosen deadline in order for your application to be considered complete and on-time. The admissions review committee is unable to accept updated materials after the chosen deadline. We recommend that all applicants have a strong quantitative background and IT/programming skills, or a demonstrated aptitude for both, prior to applying for admission. This being said, we do not have prerequisites for admission into the program and encourage prospective students from a wide variety of academic backgrounds to apply. For applicants who did not receive intensive training in these areas during their previous academic study, we suggest (but do not require) taking courses in these subjects through local colleges or MOOCs to gain additional knowledge. Please be sure to include information about any additional courses in programming or quantitative subjects when submitting your application. You can do so by combining all additional materials into one file and uploading it as a single PDF to our application system. Additional details are included in your application. The Master of Science in Analytics accepts either GRE or GMAT scores. There is no minimum score requirement and preference is not given to one exam over the other. Via the online application system, candidates are required to submit an electronic copy of unofficial GRE or GMAT exam score reports. During the initial admissions process, candidates do not need to submit official GRE or GMAT score reports. Official score reports delivered by sealed envelope or in secure electronic form are required prior to matriculation. GRE and/or GMAT scores can be no more than 5 years old from the date of matriculation (September 24, 2019). For the current admissions cycle, exam scores should be from no earlier than September 24, 2014. Please combine multiple score reports into one PDF prior to uploading to the online application. The admissions review committee will take into account all submitted scores. Scores sent to any other institution code (i.e. other programs or to Northwestern University in general) will not be received by the Master of Science in Analytics. Candidates who send official score reports should still upload unofficial score reports to the online application. All materials including unofficial score reports must be submitted by the chosen deadline in order for your application to be considered complete and on-time. The admissions review committee is unable to accept updated materials after the chosen deadline. International candidates who will/do not hold a degree from an institution where English is the primary language of instruction must demonstrate English proficiency by submitting scores for either the TOEFL or IELTS. The minimum acceptable score for the TOEFL is 95 (Internet-based test) and for the IELTS, 7.5. Test scores must be less than two years old at the date of matriculation (September 24, 2019). For the current admissions cycle, exam scores should be from no earlier than September 24, 2017. Candidates are required to upload legible digital or scanned copies of unofficial score reports to the online application system. During the initial admissions process, candidates do not need to submit official TOEFL or IELTS score reports. Official score reports delivered by sealed envelope or in secure electronic form are required prior to matriculation. International candidates who will/have graduated from an institution where English is the primary language of instruction are not required to submit TOEFL or IELTS scores and do not need to apply for a waiver. Via the online application system, candidates are required to submit an updated resume or curriculum vitae (CV). Please provide all relevant professional and/or academic experience including relevant coursework if applicable. There is no page limit or requirement for the resume or CV. All materials including resume/cv must be submitted by the chosen deadline in order for your application to be considered complete and on-time. The admissions review committee is unable to accept updated materials after the chosen deadline. The candidate video is optional but strongly encouraged. 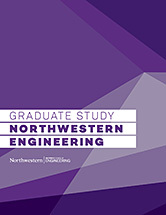 Because the Master of Science in Analytics program at Northwestern University is a small-cohort program, students must work together in a collaborative manner. Your candidate video should allow the admissions review committee to gain a better understanding of your personality, work style, and leadership capabilities. What is motivating you as you consider a degree in analytics and how do you hope that the MS in Analytics program will help you achieve your goals? Describe your approach to analytics problems, what excites you about analytics project work, and your leadership style/capabilities. The video must feature only the candidate and not a representative speaking on the candidate’s behalf. Candidate videos must be submitted as an upload to the online application. The admissions review committee will not accept videos submitted via email or external link (e.g. via other video hosting sites). The candidate video is optional, however, the admissions review committee is unable to accept late submissions. All materials including the candidate video must be submitted by the chosen deadline in order to be considered by the admissions review committee. The admissions review committee is unable to accept updated materials after the chosen deadline. The admissions review committee will consider all related coursework, including online or non-degree coursework. If you have supplemented your education via certification, please be sure to include this in your application. Supplementary materials such as certificates or course descriptions are optional and can be uploaded directly to the online application system. Please combine all materials into one PDF prior to uploading. Supplementary materials are optional, however, the admissions review committee is unable to accept late submissions. All materials including supplementary materials must be submitted by the chosen deadline in order to be considered by the admissions review committee. The admissions review committee is unable to accept updated materials after the chosen deadline. All application materials must be submitted by the chosen deadline in order for your application to be considered complete and on-time. Applications submitted and completed by the Scholarship Priority Deadline are likely to receive the fullest consideration for scholarship funding as part of the application review process. Applications submitted and completed by the Regular Deadline will be considered for second-round scholarship funding, as available. The admissions review committee is unable to accept updated materials after the chosen deadline as the review process will already be underway. Unfortunately, due to the high volume of applicants, the admissions review committee is unable to update individuals on their admission decision outside of the online application system. To view your decision status, please see instructions in the online application. All candidates who have submitted and completed an application will receive notification once the admission decisions have been announced. All information provided here is applicable to both domestic and international candidates. Where necessary, instructions and information pertaining to international candidates only, has been indicated. All international candidates who have earned a degree from an institution where English is the primary language of instruction will not need to submit English proficiency exam results. We understand that many international universities operate on a 3-year timeline, and will accept 3-year degrees from an accredited university. Transcripts in a language other than English must be submitted in original format as well as with a certified translation, preferably from the issuing institution. If the institution does not provide certified translations of transcripts, please obtain an English translation from a certified translation agency such as the American Translators Association or University Language Services. If admitted, you will be required to obtain and submit a certified WES Evaluation.